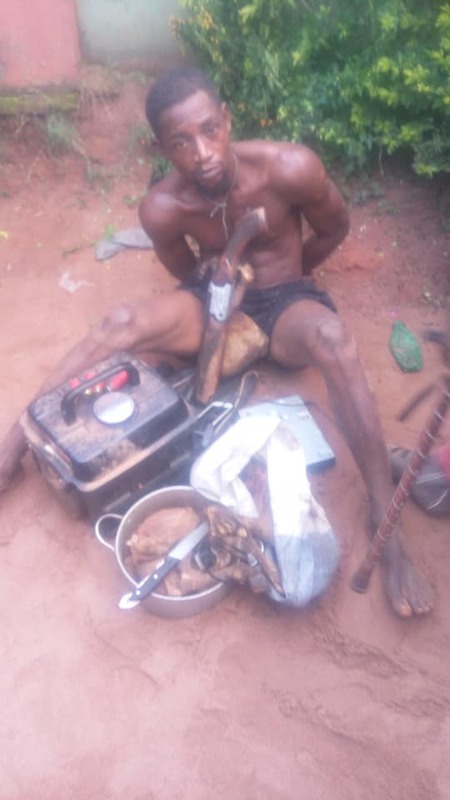 There's currently news going around the ancient city of Edo state of how a suspected cultist was nabbed by vigilante members as he and his gang members were making pepper soup with a stolen goat in Edo. It was gathered that the hoodlum along with five others stormed the area (3 House Upper Sakponba) for robbery operation as they alerted the public by shooting in the air before starting to rob residents. 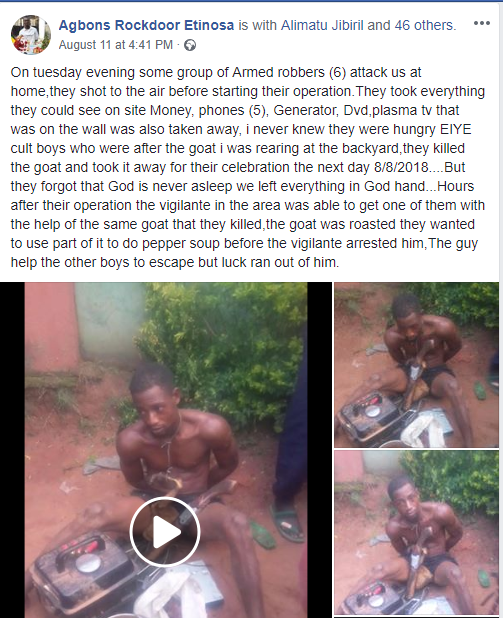 The cultists said to be members of the dreaded Eiye confraternity,also stole a goat which they killed and were about preparing for pepper soup before the arrival of vigilante. Four of the criminals fled,but one was caught .After being beaten mercilessly, he was handed to the police. See what a facebook user posted below..